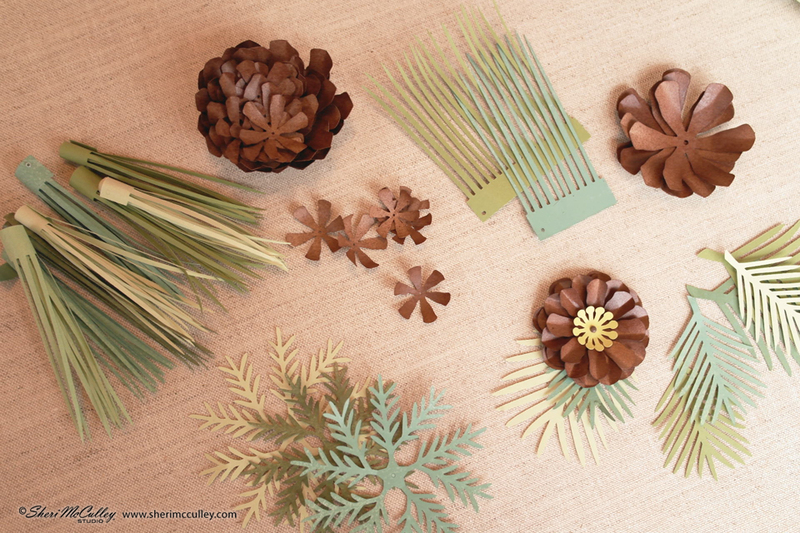 Nothing says the winter season like evergreens. Nothing says nature like pine cones. Well, even though I’m not a very outdoorsy type, I love nature in my home and have found just the way to bring it into the house this season without having to go out and get it. 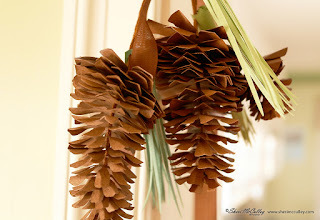 Today I want to share the craft project of my pine cone garland. 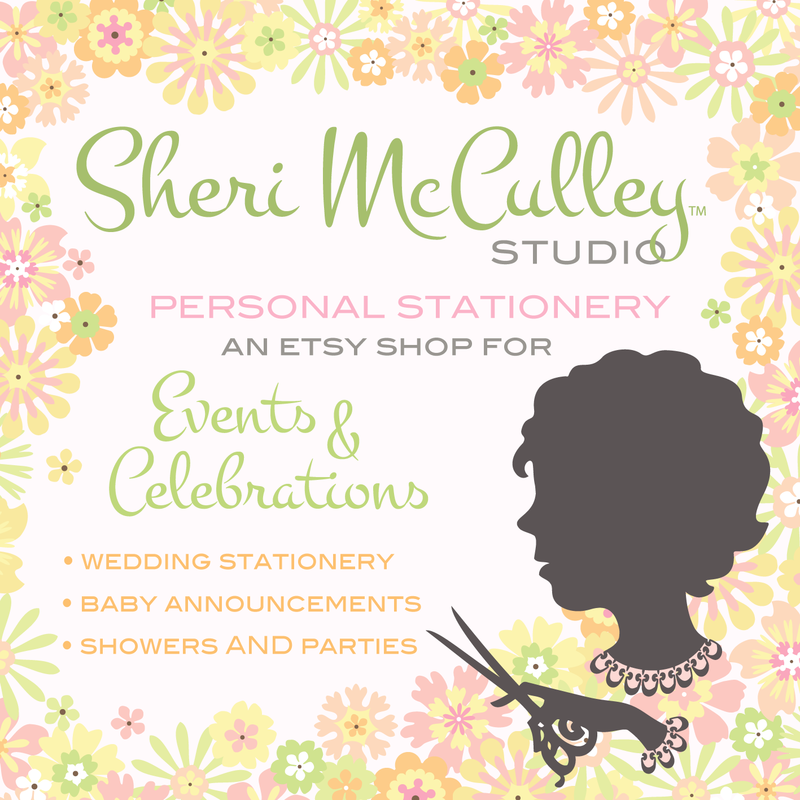 I used the cutting file from the Cut Flowers Evergreens set on Letting Delights. I also used brown and green paper (the green shades are from Paper Source text weight stock—moss, leaf and sage). 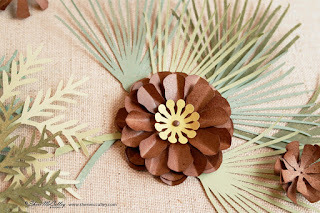 The brown paper is also from Paper Source, the color is khaki (but I varied it, see notes below). Paper Source has a chocolate brown paper, but I think it is too dark for this natural look. 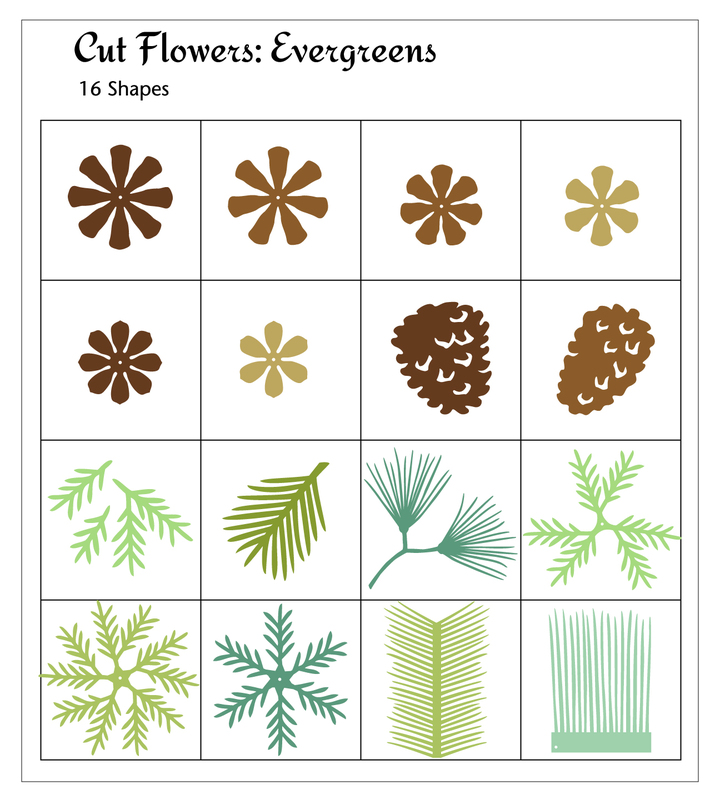 To make the pine cones, I cut out multiple sizes (10% increments) of the pine flower shapes (shown in the diagram above, on the top two rows). 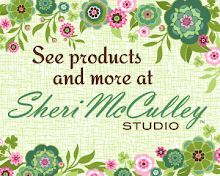 The smallest size is about a 1"diameter and the largest is a 2.25" diameter. I made two each of these sizes per pine cone. 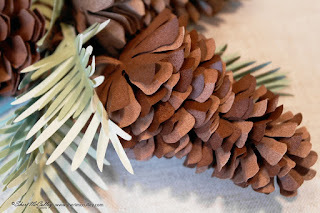 In order to get the brown coloring I wanted for the pine cones, after I cut them from the khaki paper, I lightly sprayed each on both sides using Color Place (Walnut) and Krylon (Leather Brown) spray paints. 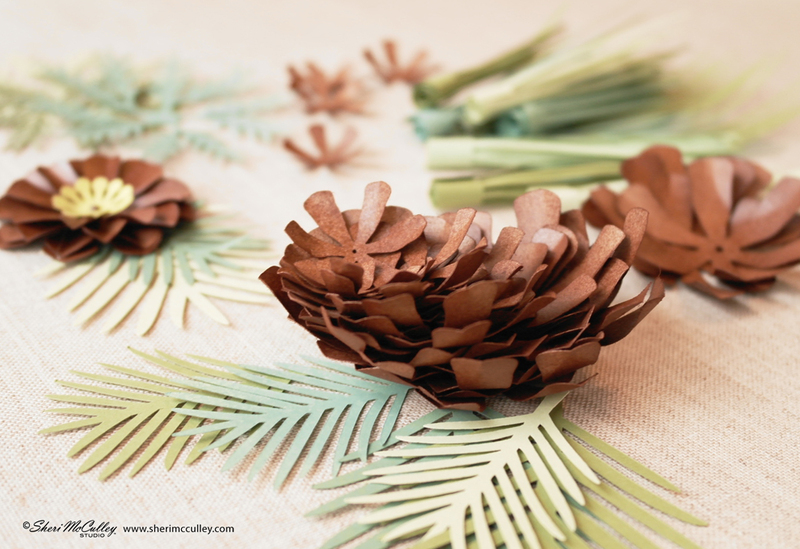 Once they were dry I shaped each pine cone flower by curling each petal with my bamboo skewer and then gently crimping each petal with my thumb and fingers (pinching each). This gives a very realistic look to the dimensional cones. See the detailed photo above. I used four strings of brown embroidery floss, knotting them together at one end. I then threaded each pine flower petal through. I started with the smallest, threading it down to the knot (see photo above) and ended with the largest, spacing and twisting them a bit for a natural look. 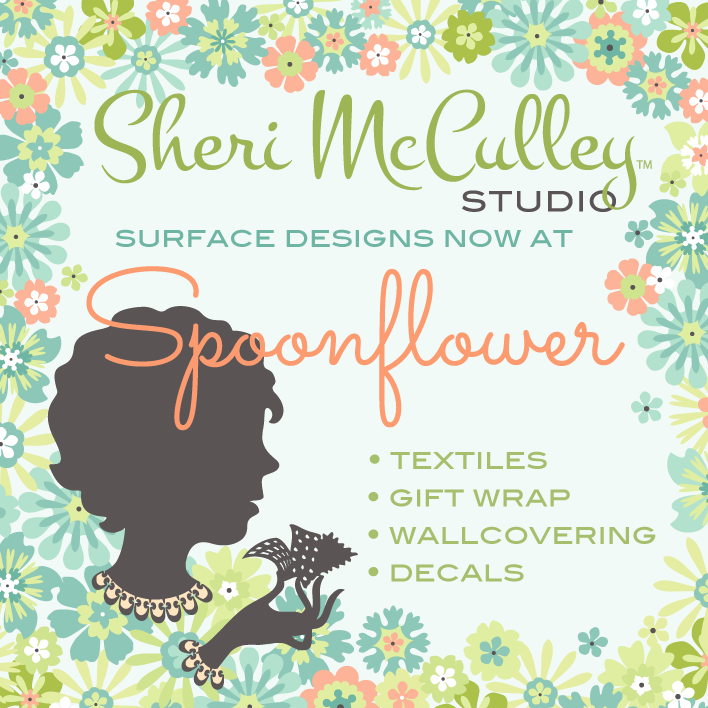 They need to be threaded as a mound, not as a cup, so that the petals go downward. 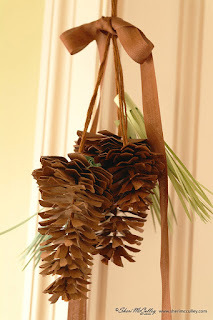 I made sure to have extra floss for the pine cones to dangle from. I suggest cutting at least 2-3 feet length for each strand. I then made pine needles by cutting the shape from the Cut Flowers Evergreens that looks like blades of grass or a pick comb (it is the last shape in the chart above). 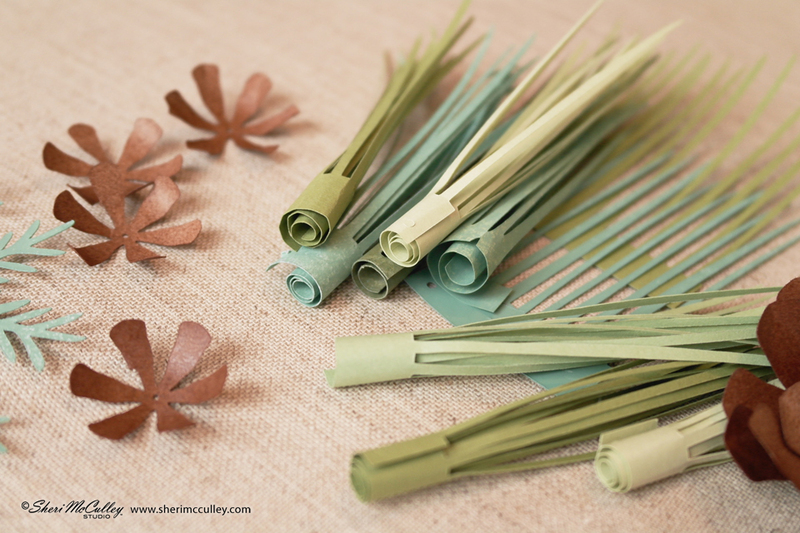 Using various shades of green, once cut, I used the skewer to roll each into a tight scroll of pine needles. See the detailed photo above. 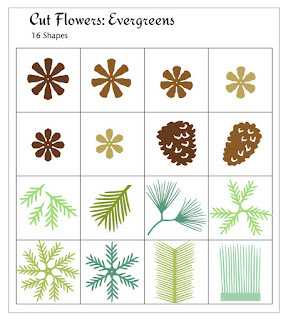 The photo below shows other options for pine needles, all on the Cut Flowers Evergreens file (and in the chart above). There is also a sample of a pine flower, attached with tiny brown brad (shown below). Once three pine cones were finished and strung, I slid the pine needles down the strings to meet each cone (there is a small hole on the rolled needles for threading). 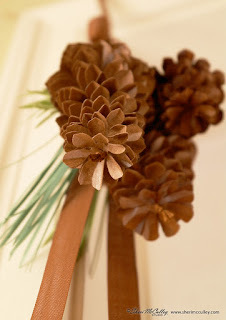 I gathered the three strings of pine cones together and tied with a brown ribbon, leaving string above the ribbon to hang the garland pine cone set. The photo below shows the various pieces I used for the pine cones and embellishments. 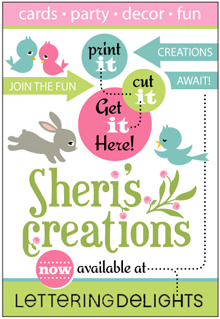 Some are great for two dimensional projects and others best for three dimensional art. Bring nature into your home this holiday season without having to go out in the cold to the old pine tree to get it. 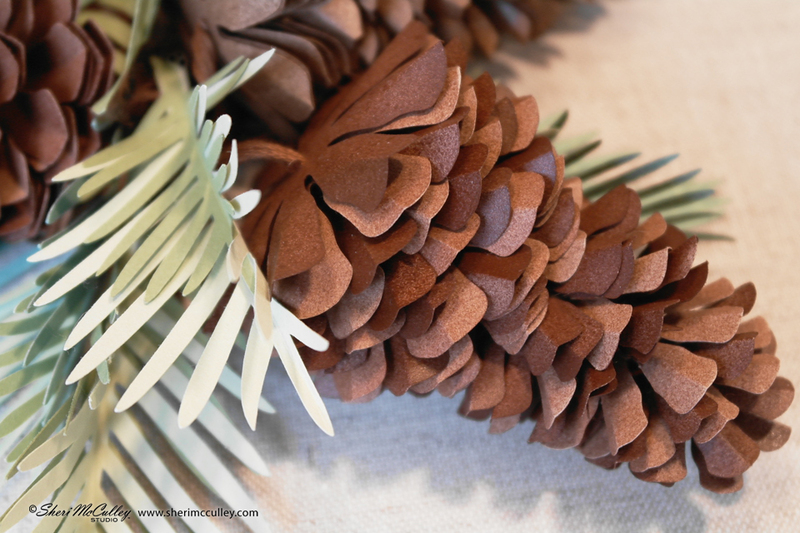 The only thing to keep these pine cones and needles from seeming completely realistic as they garnish your home is the evergreen scent, or lack thereof. Thanks so much for sharing the instructions for these. I'm going to give them a try.